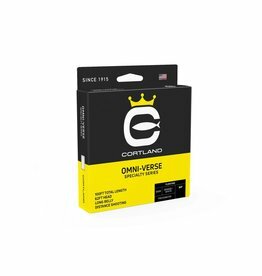 For over 100 years Cortland Line has been designing and manufacturing the world’s most innovative fly line and braided fishing line. With passion and experience, we remain focused on one thing: fishing. Fishing has been and always will be what drives us to develop the most advanced lines offered today. Located in Cortland, NY – all of our lines are made in the USA. All of our lines share the latest in line technology – many technologies that Cortland itself pioneered for the industry. We hope to see you on the water. Or, better yet, stop by and see us – we’d love to talk fishing. 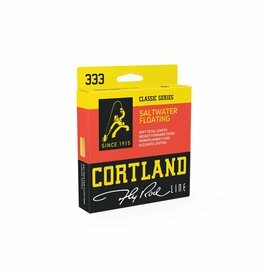 Featuring all new materials and tapers, Cortland brings you a superb series of precision knotless fly fishing leaders. Cortland’s Compact features a full compact, aggressive head design that loads deep and shoots an extreme amount of line with minimal false casts. 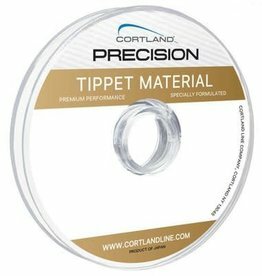 Cortland’s new copolymer Nylon Tippet is super-strong and highly abrasion resistant. Built to throw nymphs, wet flies, small streamers, dries and bombers, the Omni-Verse is our most versatile long belly line to date. 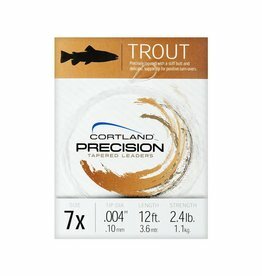 A durable, high-floating, general-purpose fly line available in a weight-forward taper. The 444 Clear Intermediate is made with a supple, crystal-clear intermediate coating over a clear monofilament core. The 444 Classic Big Shot features an aggressive front taper and overweighted head design for throwing big streamers, bass flies and tandem rigs with minimal false casting. The 444 Classic Sylk is the first modern line designed specifically for fine bamboo, fiberglass and slower rods. The original fast-shooting distance line and the first choice of expert fly anglers for over 30 years. One of the all-time classics, the Cortland 444 “peach” line has set a standard for durability and all-round performance for over 50 years.